Companies going to extreme lengths to court attention for their products is nothing new, but is the latest trend of ‘raising celebrities from the dead’ to appear in TV adverts one step too far? I’m a big Audrey Hepburn fan but seeing her brought back on to our screens in this way to sell chocolate just doesn’t sit quite right with me. It’s not just Galaxy that’s seeing the potential of having an association with these notorious ladies of the silver screen, though. What about Dior’s perfume advert featuring Grace Kelly, Marilyn Monroe and Marlene Dietrich? What do you think of this emerging trend? Is it ok? It’s not often I use this blog as a promotional tool so please excuse this very rare occasion. My fiance and I have the chance to win some amazing prizes for our wedding including flowers, a photo booth, jewellery and more. If we won it would just add some extra special touches to our big day – so please help us! Please follow this link and vote “Adam and Rebecca”: http://essexvintageweddingguide.wordpress.com/2013/02/22/meet-our-finalists-and-get-voting-for-your-favourite-proposal-story/. You can only vote once per device otherwise it actually detracts from our total so please encourage friends and family to spare us 30 seconds and vote, too! (Normal marketing and PR content will return with the next post). It’s unlikely that anyone in British media had a tougher job last week than the creative team behind The Last Leg, Channel 4’s hit comedy chat show. Originally designed as a daily comedy show that discussed the highs and lows of the London Paralympics in a direct and refreshing way, the team behind The Last Leg simply couldn’t avoid discussing the Oscar Pistorius story in some shape or form during their new series – particularly as they went live on air less than two days after the news about his murder charge broke. While Ally Fogg’s write-up for The Independent gave the Last Leg team some credit for their ‘sincere and dignified address’ it condemned them for not mentioning Reeva Steenkamp by name and focusing more on ‘her tragedy’. A fair point but I’m on the side of the Channel 4 team on this one. Not only did they address the issue in a responsible way and refuse to make a joke of the story (which they easily and wrongly could have done), they focused on the part of the story that affected them and their viewers personally – the shock of realising their hero could be the exact opposite of what they believed him to be. Well done Adam Hills, Josh Widdicombe, Alex Brooker and the rest of the Last Leg team. 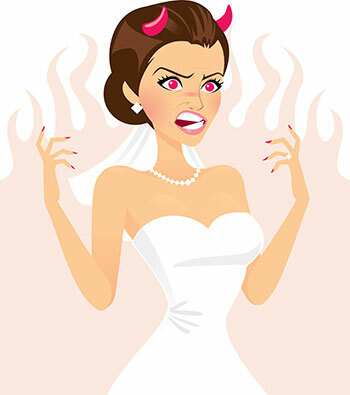 Wedding websites: making a million Bridezillas? I recently got engaged and it’s resulted in a pretty full-on introduction to the world of wedding websites. Not only are there endless amounts of forums where brides-to-be discuss everything and anything to do with weddings, I could spend all day (literally) on Pinterest gathering ‘inspiration’. Weddings are big business, there’s no doubt about that, but if you’re only planning on getting married once how much value can these companies squeeze out of each bride-to-be during the one (or few) years that she’s planning the wedding? It seems like it would be a difficult market in which you could build customer loyalty and keep people coming back. That said, recommendations from peers are certainly worth their weight in gold (92% of people say they rely on recommendations from people they know) so if you can get someone talking about you, sharing links to your page and clicking through, one bride-to-be could easily turn into 10. I can’t imagine how I would have planned my wedding without the internet at my disposal and I know friends who tied the knot a few years ago are gutted they missed out on Pinterest.